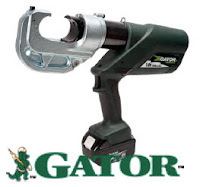 Exclusive Promotion on the Greenlee EK1240L11 Battery compression tool! Purchase one (1) EK1240L11 - 12-Ton Battery-Powered Crimping Tool, 1.65 (42 mm) opening,120 V Charger. 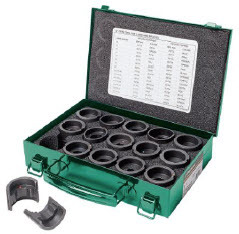 And receive a free complete die set (#8-750MCM). Choose either Cu # KD12Cu or Al or # KD12Al. A $1400 value.